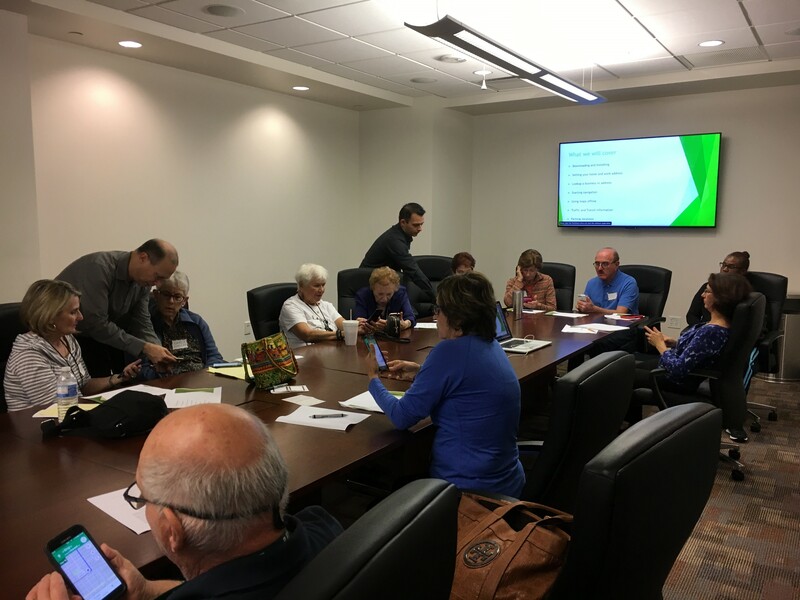 15 active adults came together on Monday at the Bryan Glazer Family JCC for our pilot JCC Plugged-In pilot workshop. JCC Plugged-In is an intergenerational program that brings the community’s young professionals and active adults together. Volunteers Luy Teitelroit (Founder & CEO / IT SUPPORT GUYS) and Steven Atkin (Distinguished Engineer and Chief Technology Officer, Master Inventor, IBM Support Transformation, Training & Globalization) led the workshop, answering questions and providing participants with hands-on guidance in using their devices and social media. 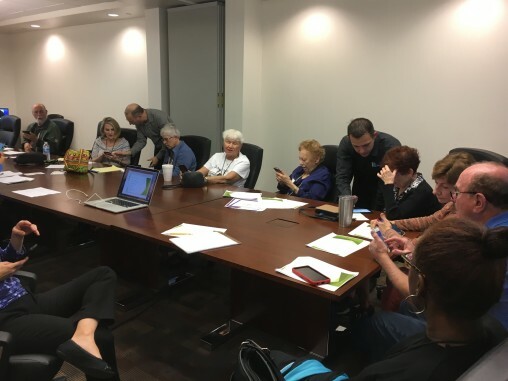 For more information about future workshops or to find out how you can volunteer your time, please contact Active Adults Program Manager Pnina at pnina.levermore@jewishtampa.com, or Director of Young Adult Engagement Lisa Robbins at lisa.robbins@jewishtampa.com. 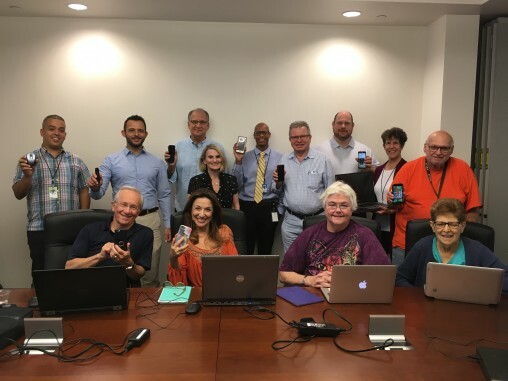 JCC Plugged-In is where community members connect for answers about tech devices from tech-savvy professionals. Feel free to bring your own laptop. Or if you prefer, we will provide you with one from our mobile computer cart. As always, we would like to keep the group small in order to provide individualized support, so please let us know if you plan on attending. 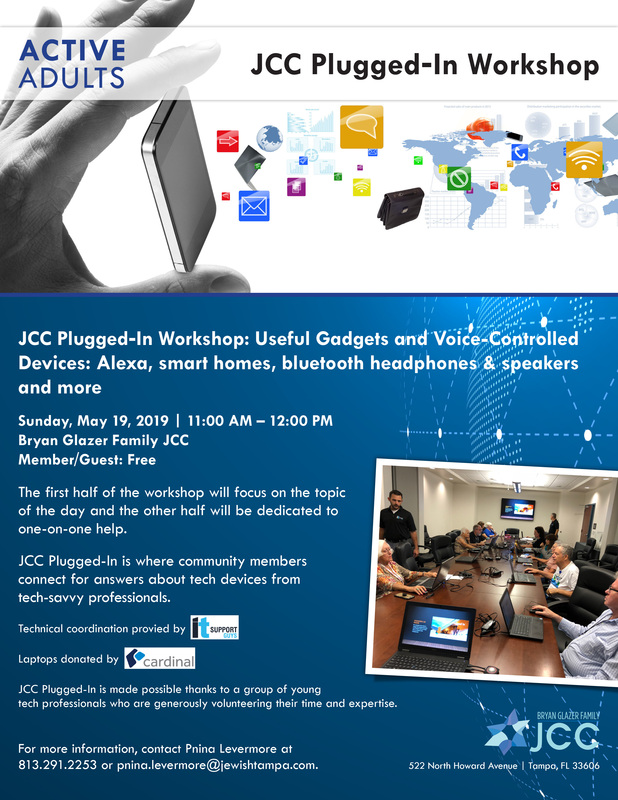 JCC May Plugged-In Workshop: Useful Gadgets and Voice-Controlled Devices: Alexa, smart homes, blue tooth headphones & speakers, and more. JCC Plugged-In is community members connect for answers about tech devices from tech-savvy professionals. The program is made possible thanks to a group of young professionals who are generously volunteering their time and expertise. Participants must register for this class through the USF OLLI program. For more information contact OLLI at 813-974-8036 or call Pnina at 813-291-2253.